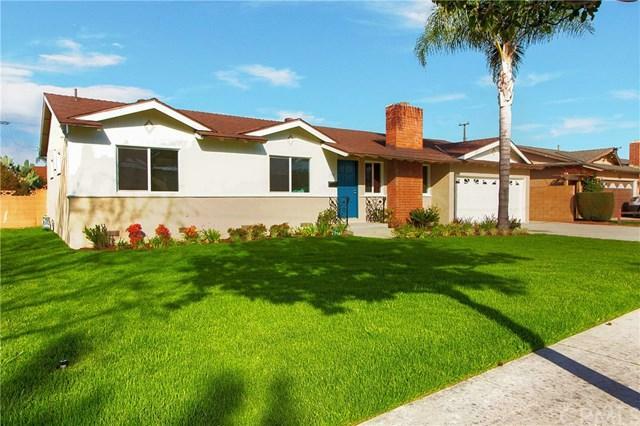 Beautifully upgraded 3 bedroom 2.5 bath home located in highly desirable well established West Anaheim neighborhood. 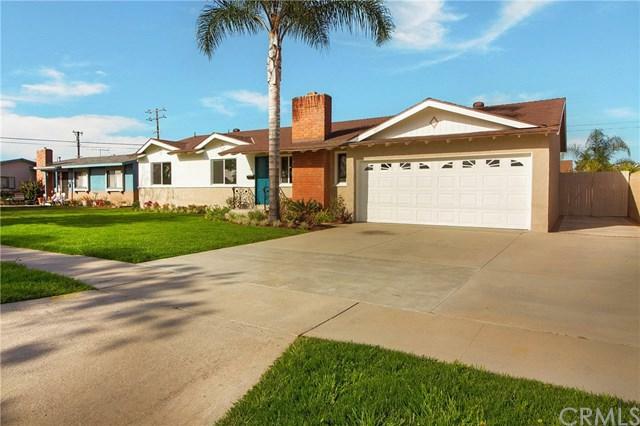 This single story has been completely remodeled and is like a brand new home. Interior features all brand new wood laminate flooring, new windows, new slider, central air and heat, and has been freshly painted throughout. 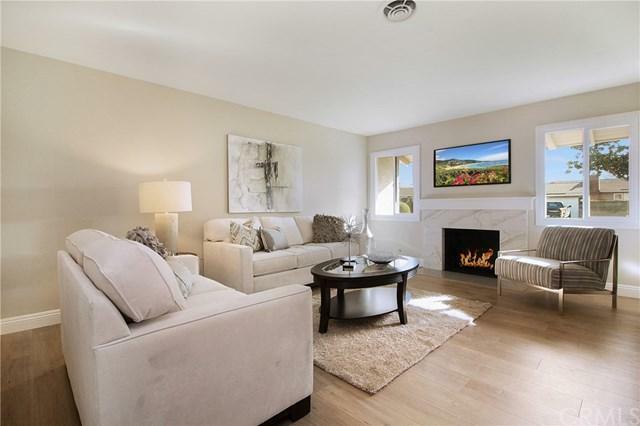 The spacious living room features beautiful custom designed fireplace. Dining area with beautiful backyard views. Kitchen features all brand new Quartz counter tops, custom back-splash, upgraded cabinets and brand new stainless steel appliances. Huge separate laundry room with 1/2 bath just off the garage. All bedrooms are good in size and feature brand new carpet. Bathrooms have been remodeled from top to bottom features all new tile flooring, Quartz counters, new vanities and fixtures. Master bathroom also has beautiful custom designed shower. Over-sized private back yard with concrete patio area and large grass area. Beautiful curb appeal. This home is truly turnkey.